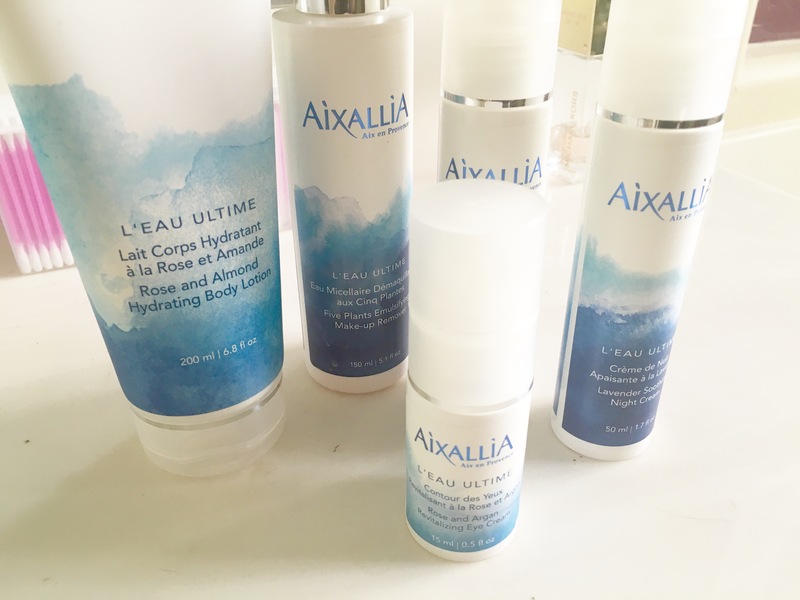 Aixallia is one such example of why: it’s a new French organic skincare and cleansing brand made with proprietary ultra-pure water to eliminate all impurities. Only the French would think to worry about what water went into it! My current beauty regimen isn’t full of organic products, but in the past year I’ve been trying to make the switch after a few things have irritated my skin. Aixallia is formulated with locally harvested, organic French Mediterranean botanicals, and is ECOCERT French organic certified. I have dry skin now that I live in AZ, and it needs nourishment badly. was delighted to try Aixallia’s Green Tea Day Cream, I love the silky feel as it goes on my skin, and the smell is divine, as it was with everything I tried in the line. 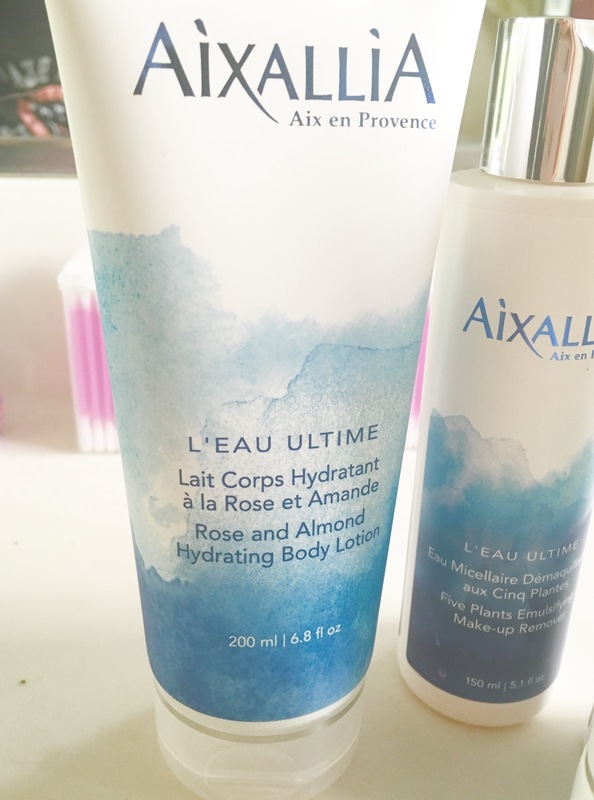 One of my favorite products was the Rose and Almond Hydrating Body Lotion. If you’ve tried tarte d’Amande, you know how incredible something as simple as almond can smell and taste when it’s prepared right. The scent translates beautifully here alongside the sweet scent of rose. That beauty you see sitting there next to it is the makeup remover, which is one of the more pleasant experiences I’ve ever had with a product in that category. It neither smells nor feels chemical, which is fantastic – rather, it goes on smoothly and the smell is spa-like, but doesn’t sacrifice performance when it comes to actually removing the makeup from my skin. Aixallia not only looks good, but does good: in keeping with the water theme it supports charitywater.org, a nonprofit organization bringing clean and safe drinking water to people in developing nations by donating 1% of net product sales revenue. C’est fantastique, non? To give it a try for yourself, use code Blog20 at Aixallia.com to receive 20% off your order. It’s so worth it! What French-girl beauty secrets have you tried? Do you believe in the mystique of the French woman and her beauty and figure? I went to France and was literally floored by how stylish these women were. Even at the grocery store. And none of them look like they try. But they also don’t smile at you!